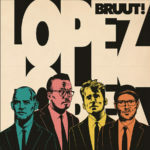 Dox Records – Record label » BRUUT! 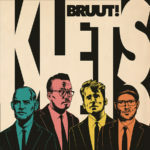 ‘Jazz is meant for dancing’ is once again proved true by Dutch superjazz formation BRUUT! The best-dressed band from The Netherlands (Esquire, 2016) has reinvented itself in collaboration with producer Paul Willemsen (of Michelle David & The Gospel Sessions, Ruben Hein, Blackbird). 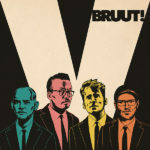 The band’s 5th album V is a stomping, high-energy record full of grooves and grease. But is it jazz? Surf? Rock? It doesn’t matter. Just enjoy it! One thing is certain: while listening to BRUUT! anything is possible, except keeping your feet on the floor. ‘V‘ is now available on all streaming- and download services, and physically, on CD and Vinyl.